Board Certified Plastic Surgeon Fort Myers: Dr. Robert V Mandraccia M.D. Meet Dr. Robert V. Mandraccia, M.D. Board Certified Plastic Surgeon Fort Myers. With 30-years experience, Dr. Robert V. Mandraccia, understands that his reputation for excellence is built on his commitment to providing each plastic surgery patient he treats with the highest quality in both service and safety. With patient satisfaction as his top priority, Dr. Mandraccia specializes in liposuction, breast enhancement plastic surgery including breast enlargement, breast lifts and breast reduction, as well as facial rejuvenation including facelifts, eyelid lifts, brow lifts and rhinoplasty surgery. With his decades of experience, Dr. Mandraccia is able to offer his patients a wide range of options when it comes to the treatments they are seeking. Before suggesting any procedure or treatment, Dr. Mandraccia will evaluate your case specifically, and provide you with a number of options determined to best suit you, and reach your desired achievements. He also understands that plastic procedures are a big decision, and is happy to answer questions you might have regarding any options of treatment presented to you. Dr. Mandraccia also specializes in laser skin resurfacing. This procedure requires an American Board of Plastic Surgery certified physician who is specially trained in this field of plastic surgery. Dr. Mandraccia is trained in this field and is proud in offering this service to people who are interested in a plastic surgery procedure that does not cause as much bleeding or post-operative pain as other treatments would. Other than surgery and plastic procedures, Dr. Mandraccia also offers a number of injectables to our Southwest Florida patients who are looking to achieve a more youthful and revitalized look. Along with Botox®, we offer Juvederm™, Vitality Lift with Dermapen®, Restylane®, and Alloderm®. Finally, our Fort Myers plastic surgeon is a recognized expert in the field of surgical hair restoration. Dr. Mandraccia is the medical director of Advanced Medical Hair Centers, and he can work with you to find a treatment option that addresses your concerns over receding hair. We have the knowledge and tools to provide you with the procedure that’s right for your specific needs. & we have the experience to do so safely, with your health and well-being always foremost in our minds. 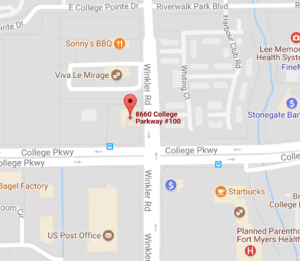 At the Fort Myers plastic surgery office of Dr. Robert V. Mandraccia, we welcome patients from all locations. With years of professional experience, a top-of-line surgery facility and competitive financial options, all in addition to being located in a beautiful recovery destination, we have performed our services for a significant number of out-of-state patients. 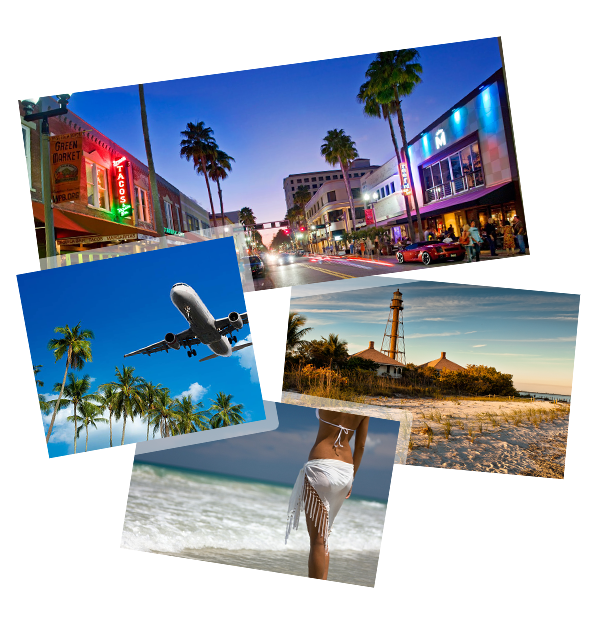 If you are an out-of-town patient seeking the talent and expertise of a board-certified plastic surgeon and you would like to know more about our Fort Myers plastic surgery practice, please call (239) 443-4633 today. How do I choose the right plastic surgeon for me? One of the most important things to consider when choosing your plastic surgeon is your relationship with the physician and staff. Being comfortable with the whole staff is crucial in ensuring you have the best experience possible with your procedure. During your initial plastic surgery consultation, be sure to ask all of the questions that are on your mind. Your surgeon should be willing to take as long as you need to in order to answer all the questions you may have. If you don’t find complete confidence in your physician and the answers they have given, you should not follow through with the plastic surgery process. You should always choose a plastic surgeon who is certified. Dr. Mandraccia will answer any questions or concerns that may arise during the entire plastic procedure process. His whole staff is friendly, warm and welcoming. Where can I get some general information on plastic surgery procedures? There are a variety of ways to get some information on the various plastic surgery procedures we offer. One way is to visit the American Society of Plastic Surgeons. How do you know what you’ll look like afterward? While nobody can give you an exact image of the product, many surgeons – including Dr. Mandraccia – can give you a good idea of what to expect. Your consultation with Dr. Mandraccia is designed specifically to help you make a smart decision about whether to go forward with a certain body contouring and/or plastic surgery procedure. How much pain will I be in? What will recovery time be like? These questions are dependent upon the type of procedure you’ll be undergoing as well as your current health. Because you will be under the effects of either local or general anesthesia, patients typically feel no pain during the procedure. Recovery time is harder to generalize and depends on what plastic surgery procedure you are interested in. Rest assured Dr. Mandraccia will offer you an honest, realistic assessment of what your recovery will entail. He will do this before the plastic surgery procedure when you meet with him for a consultation. How do I know what plastic surgery procedures are for me? Dr. Mandraccia listens to your needs, that means all you have to do is tell him what aspects of your appearance you wish to change, and he will take care of explaining the medical details that follow. 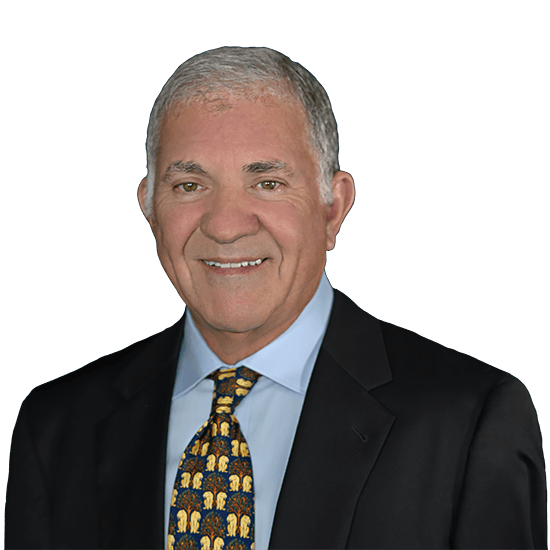 With his decades of experience, Dr. Mandraccia knows what procedures are best for certain situations. Therefore, you do not need to know what procedure is exactly right for you; he will help with that. When meeting with us for the first time, you only have to explain what you’re happy with – Dr. Mandraccia will make recommendations from there! The type of plastic surgery being performed will determine the cost, so a realistic assessment can only be made after consulting with Dr. Mandraccia and discussing what procedure is right for you. Plastic surgery, while affordable, can sometimes seem expensive. However, we like to remind our patients that an investment in plastic surgery procedures are an investment in yourself. The benefits that follow a more beautiful, more confident you will be advantageous to every aspect of your life, including socially and professionally. It is common for patients to finance their procedure, so Dr. Mandraccia offers a long list of financial affiliates.